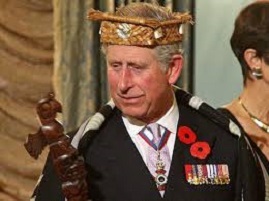 Prince Charles is to take over from King Juan Carlos of Spain who has abdicated today. A shock to many, the ruling is apparently due to a recent European directive that went largely unnoticed at the time, where the appointment of new monarchs within the EU will be decided on how long they’ve been endlessly waiting around for the promotion, rather than whether they’re directly related and come from the same country as the departing monarch. The Prince has shrugged off criticism that the job should really go to King Juan Carlos’ son the the Crown Prince Felipe. “Felipe? He can’t be a king. He’s only bloody 45, I was still at school when I was 45. 65 is the age to be made a king. And I’m 65” he explained. Crown Prince Felipe in turn looks likely to take over the British throne and has assured critics that he will rule with an iron fist. UKIP leader Nigel Farage was one of the first British politicians to wish him well and told us that he couldn’t be more delighted.